Tomorrow marks one year since the earth moved in Kaikōura. We’ve had a busy year managing the quake’s impact on native species and conservation areas. We reflect on the last 12 months. During the recent events this week, our thoughts are with the people of Kaikoura and everyone affected by Monday’s quake. Today’s photo of the week is of a young New Zealand fur seal pup at Ohau Stream near Kaikoura. Today’s photo of the week is of a New Zealand fur seal pup. DOC is currently looking for volunteers to help manage visitors to the fur seal colony at Ohau Point, Kaikoura. The Kaikoura large whale disentanglement team was in action last month working to free a humpback whale from a cray pot line entangling it. New Zealand’s largest and deepest marine reserve, along with our first whale sanctuary and our first seal sanctuary, came into effect on Friday. 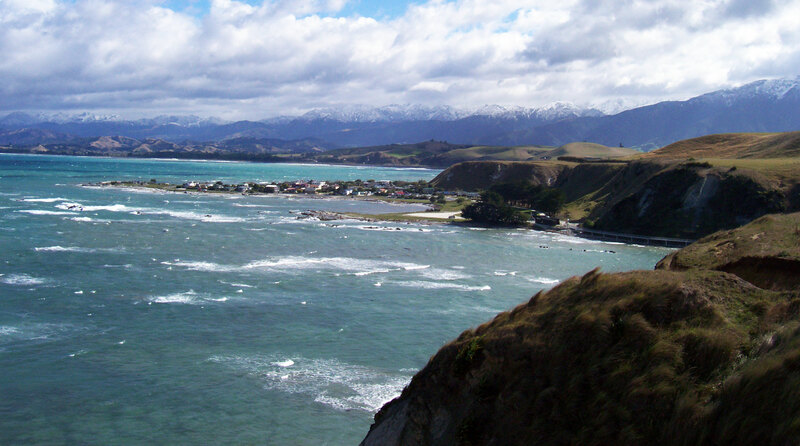 Kaikōura with marine reserve in the background. Five new customary fishing areas, and more sustainable recreational fishing regulations, were also established. 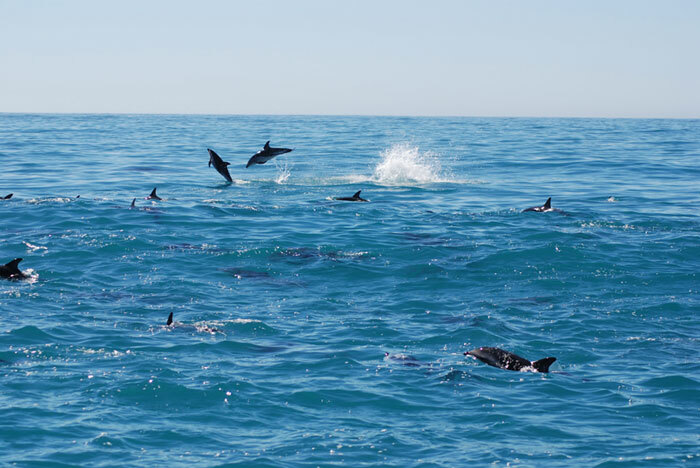 The journey began nearly 10 years ago with the establishment of Te Korowai o Te Tai ō Marokura, a group of local people and agencies who recognised that Kaikōura’s magnificent and valuable marine environment was under pressure. A korowai is a chiefly cloak laid over something to protect and care for it. 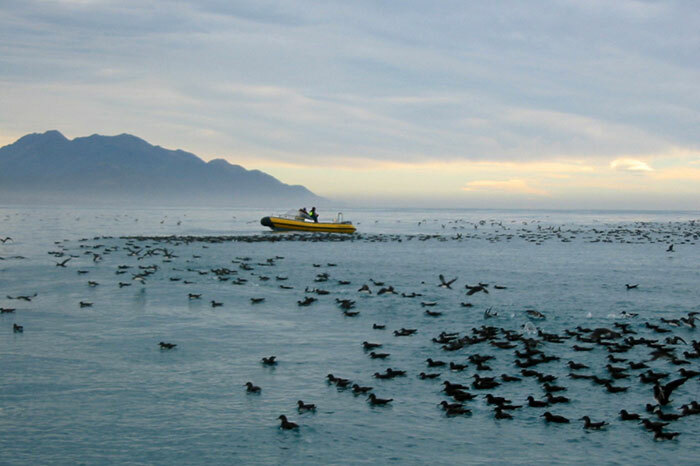 The sanctuaries, marine reserve, and fisheries management tools established are each strands of an interwoven cloak that cares for the Kaikōura (Te Tai ō Marokura) Marine Management Area. “The negotiations were long and hard, but for me the whole process was a beautiful expression of community. I think the whole of New Zealand could look at this as an example of how communities can come together to look after their resources for themselves and their children,” he says. whakatipuranga o aianei me ake tonu ake. abound to sustain the needs of present and future generations. 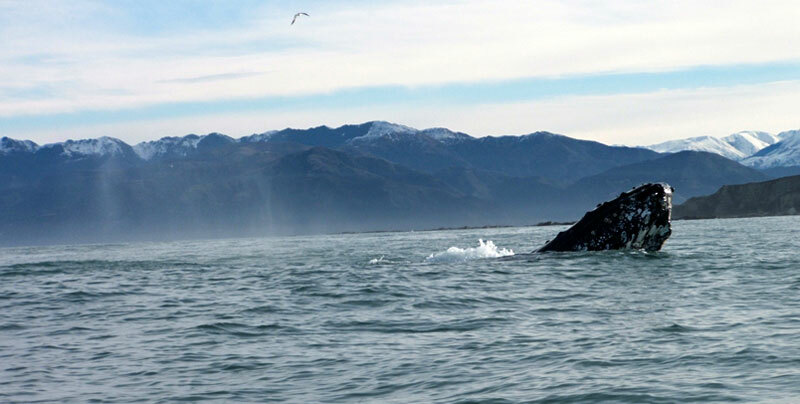 Today’s photo of the week is of two humpback whales and a pod of dusky dolphins travelling near the Kaikoura Coast. 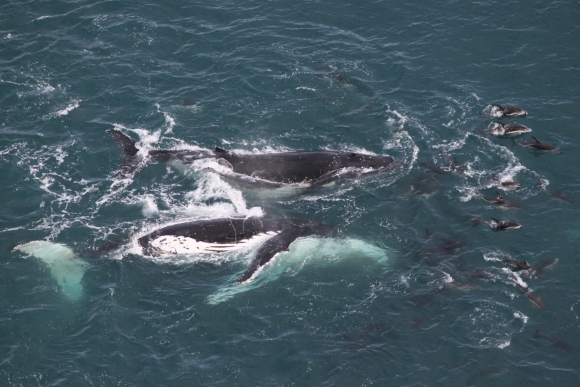 The Department of Conservation is currently conducting a research project that monitors the northern migration of humpback whales through the Cook Strait. This will be the eleventh annual Cook Strait Whale Survey. The survey aims to determine how humpback whales are recovering since whaling ended. The survey has already recorded 33 humpback whales and 1 blue whale. This photo was taken by Rob Pine.